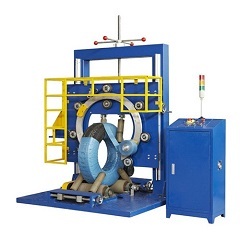 Different tyre packing machine solution works for tyre packing in different packing materials. The tyre wrapping speed upto 15 sec per pcs. Easy operation by operator. The FPT series tire packaging machine is mainly used in the packaging of the tire, as well as the hose reel, tube roll, etc. The advantage is that it is efficient, saving labor and material cost. The machine is waterproof, dustproof, rustproof, rust-proof, anti-aging effect. And effectively protect the normal operation of the machine. This design will not only help you save labor, save your warehouse space, improve your productivity, but also decorate your product effectively. 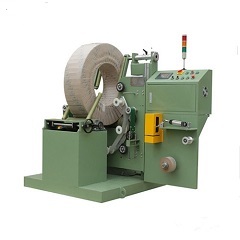 There are different tyre packing machine versions via tyre size, weight...For nearly 10 years Fhope has provided customers with high-quality automated tyre packaging machine solutions using stretch film, paper, and aluminum foil... We specialize in the design and manufacture of coil packaging machine for trye and tire package.